If you’ve been enjoying Back to the Source, please take a couple minutes and leave a review and increase the likelihood that others will come across these stories…. Go here to the Back to the Source podcast channel. 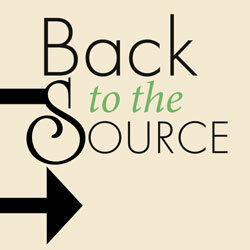 Go here to the Back to the Source podcast channel. This should launch Apple’s Podcast app. Or another way is to search for the terms “Back to the Source” once you’re inside the Podcast app. Tap the Reviews tab, then tap Write a Review. Your donation supports Back to the Source and makes it possible for these shows to be offered as widely as possible.